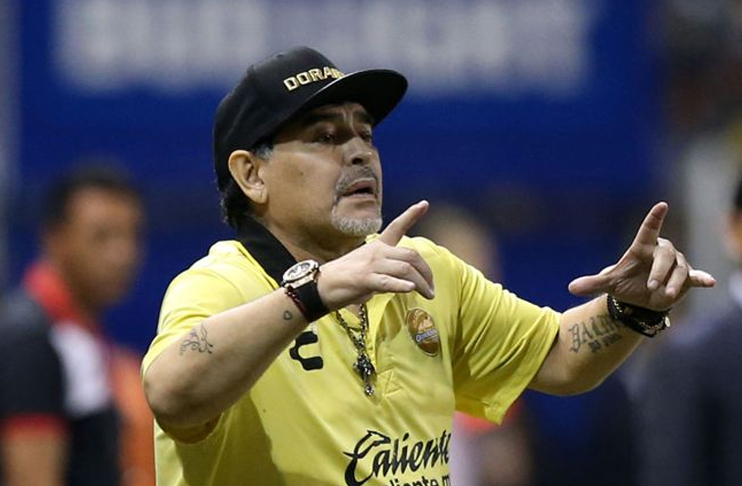 Argentina great Diego Maradona said he will quit his job at Mexican second-division club Dorados at the end of the season over perceived refereeing bias against his team. The 58-year-old Maradona made the decision on Friday following a 1-1 draw with Venados, claiming his touchline presence led to decisions going against his team. Maradona, who won the 1986 World Cup with Argentina, said he would ask for a meeting with the club president to notify him of his decision and the reason behind it. At the root of his anger on Friday was a “very clear” penalty that was not awarded to his side. Dorados extended their unbeaten run in the league to eight games and sit third in the standings, having lost to leaders Atletico San Luis in December’s Apertura final.